The next step up from the Mini Micro Deluxe 3 wheel scooter, the Maxi Micro Deluxe is the ideal next stage kids scooter for kids who want all the fun, stability and good safety design of the Mini but are ready a larger, cooler and more robust scooter. 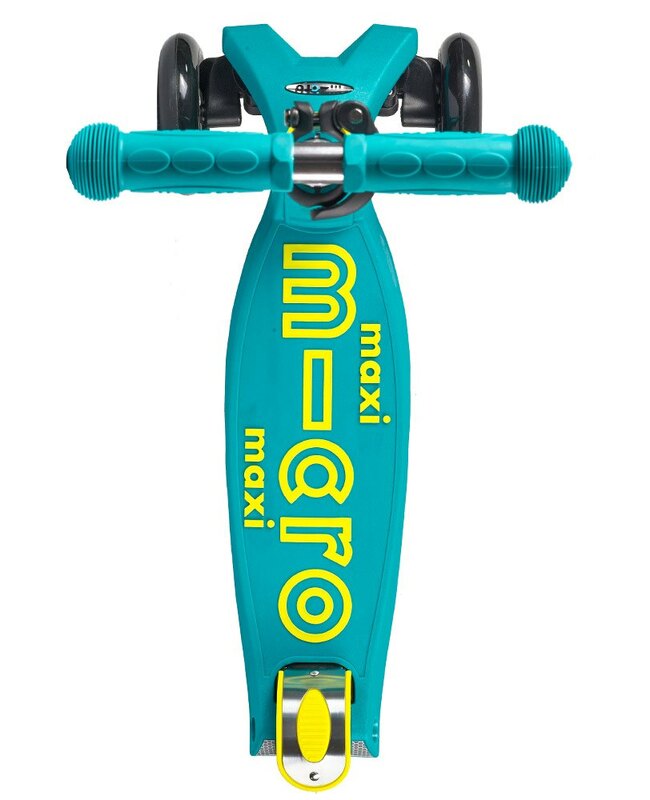 The Maxi Micro Deluxe version has a new weight limit of 70kgs, a unique deck with raised silicone Micro grip, and an anodised stem which not only protects your scooter from corrosion but provides a stylish look. Your child can cruise the pavements and parks smoothly and confidently on their Maxi Micro Deluxe scooter, while further developing their balance and co-ordination skills. 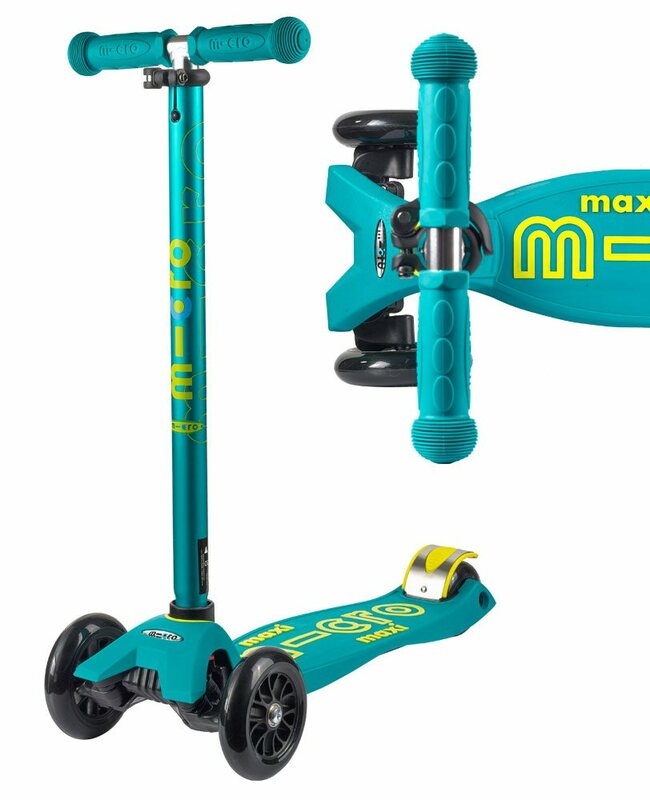 With an adjustable handlebar the Maxi Micro Deluxe Petrol Green is the ideal scooter for the fans of the mini who want to keep riding what they already love. Scooters are a cool and funky way for kids and adults to get around – that’s why we stock the largest range of scooters in Perth. At George’s Bike Shop you’ll find a range of scooters in a variety of colours and styles that will fit your child (or your own) personality, ability level and, of course, your budget too.